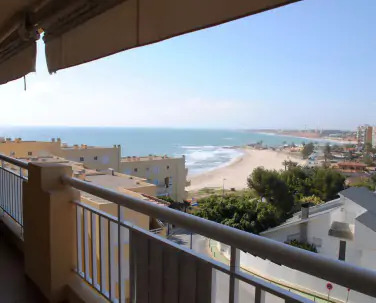 If you decide to buy one of the properties, the practice in Spain is to draft a sale agreement and to pay a reservation fee which is usually from 3000 to 5000 euros. At this moment the property is withdrawn from the market and we start preparing formalities for the purchase. We also agree on the date for the completion of the purchase. The whole process is supervised by a solicitor who analyses the documents and confirms that the property is free from debts. He is also responsible for opening an account in a Spanish bank and obtaining NIE (Foreigners Identification Number) which is a requirement for the purchase. We also cooperate with a sworn Polish- Spanish translator in Spain, registered in Poland - Agnieszka Rzewólska, who translates notarial acts and mortgage documents. It is often necessary to get a bank loan in order to buy a property. Needless to say, our company IDEAL specialises in that. Go to Mortgage section to find more information. The date of signing the public deeds of sale (Escritura de Compraventa) is agreed between the buyer and the seller and it is signed before a Spanish notary. An agent from our company will assist you throughout the process of buying and signing the public deeds. 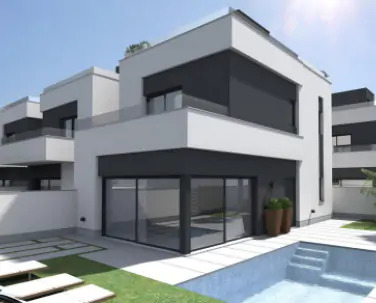 All properties are registered in the land register (Registro de la Propiedad), documents are carefully checked and prepared for the public deeds of sale by a notary and a solicitor. Our agency offers a sworn translator who is registered in Poland. Once the deeds of sale is signed, you become the rightful owner of the property. Certificado de eficiencia energetica- Energy performance certificate. It is a report that states whether the house is run efficiently, ventilation system and energy efficiency are tested. The document is valid for 10 years and the cost of obtaining it is about 250 euro. If you want to find out more about living in Spain go to the costs of living in Spain section.